Faculty don’t like being micromanaged. Hire faculty you trust to do the job, provide guidelines and training, and let professionals do their thing. Pay appropriately, and give notice if you are canceling a course. Set expectations clearly, and communicate with faculty in the same tone you’d expect; assume the best not the worst. Include adjuncts as part of your team. Compensate when job duties increase. Handle student issues quickly, make sure prepared students enter programs (particularly in graduate work). Move away from the “gotcha mentality” into an inclusive, people-make-mistakes, “we are all in this together” model. Sean-David McGoran noted that students allowed to bully faculty, repetitious and unnecessary training and unreasonable deadlines at final and midterm examination time can be demoralizing. Linda Chilson said that pay, curriculum that doesn’t make sense, student behavioral issues and school districts funding unnecessary training are issues, as well as lack of support for out of the box thinking. Leah Murray noted that micromanaging every little detail is demoralizing – and understandably added, “why not teach the class yourself if you are going to pay that much attention“. She also noted that lack of positive reinforcement and others taking credit for work you did is troubling. Mary Kay Westgate-Taylor cited poor new faculty orientation, unclear expectations, micromanagement and lack of support from administration regarding student issues as concerns. Dr Steve Woodsmall noted open admissions – too many graduate students who aren’t able or willing to do graduate level work or have a sense of entitlement (paying tuition guaranteeing a degree) and complaining when they receive clearly deserved failing grades causes low morale. Quiana Bradshaw noted that schools acting like adjuncts don’t matter causes low morale. Adjuncts often work hard with no promotional opportunities with no mentoring or encouragement, and only veteran individuals offered promotions. Not including adjuncts as part of the team or micromanaging adjuncts with reports and comments is concerning. Jeanie Rogers-Street noted that education not being the driving force of education (instead, finances being the main focus) is a cause of low morale. Christina Krepinevich Houston noted rude emails from supervisors as a cause of low morale. Stacie Williams commented that supervisors or administrators with a lack of experience in curriculum design and hiring skills dismissing the experience and knowledge of instructors is demoralizing. Traci Schneider Cull noted that not having support from online higher-ups or fixing issues in courses/not responding causes low morale. Nicki Favero Puckett cited continuous increases in workload without additional compensation as a cause. Terri Hennessy Craig stated that severely under, or unprepared, students and canceling classes (particularly without notice) is a cause of low morale. Judith Boettcher book, The Online Teaching Survival Guide (second edition, Jossey-Bass 2016). In chapter three, “Best Practices for Teaching Online: Ten Plus Four,” you and your co-author Rita-Marie Conrad provide a list of 14 best practices for teaching online. How can these best practices help faculty? Personalized learning means that while all students master core concepts, students ideally practice increasingly difficult use of those core concepts in contexts and settings desired by individual students. we really need to step up to much more effective use of rubrics. Rubrics can define intellectual outcomes in several key areas, such as critical thinking, for example. great course design is at the core of creating great online learning experiences. We need to ensure that the desired learning outcomes, the course experiences, and the ways we gather evidences of learning are all congruent, one with the other. 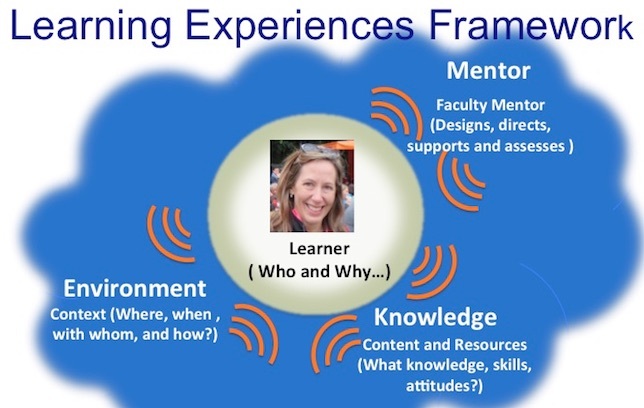 Course experiences should help students develop the knowledge and expertise that they desire, and the evidences of learning we require of students should be meaningful and purposeful and where possible, personalized and customized. The eCampus Quality Instruction Program (eQIP) is an online faculty development program developed to train faculty in designing and teaching fully online courses. What is the best way to design and develop high- quality online courses and support faculty as they teach online?